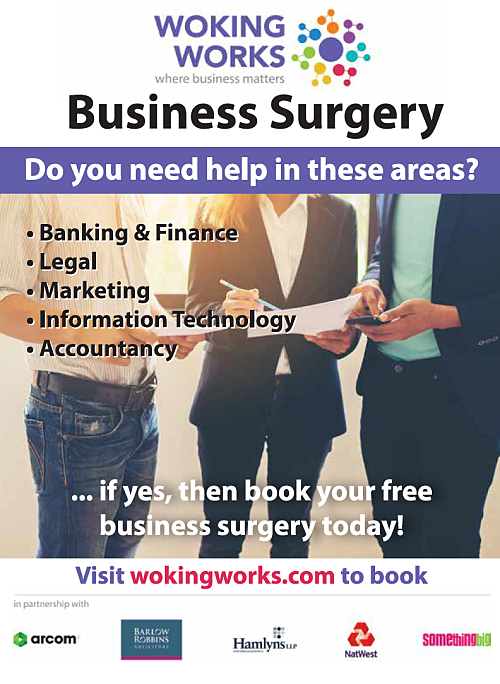 Woking Works – a collaboration between Woking Borough Council and five leading Woking-based companies – is offering free business surgeries to those who have been trading for three years or more. 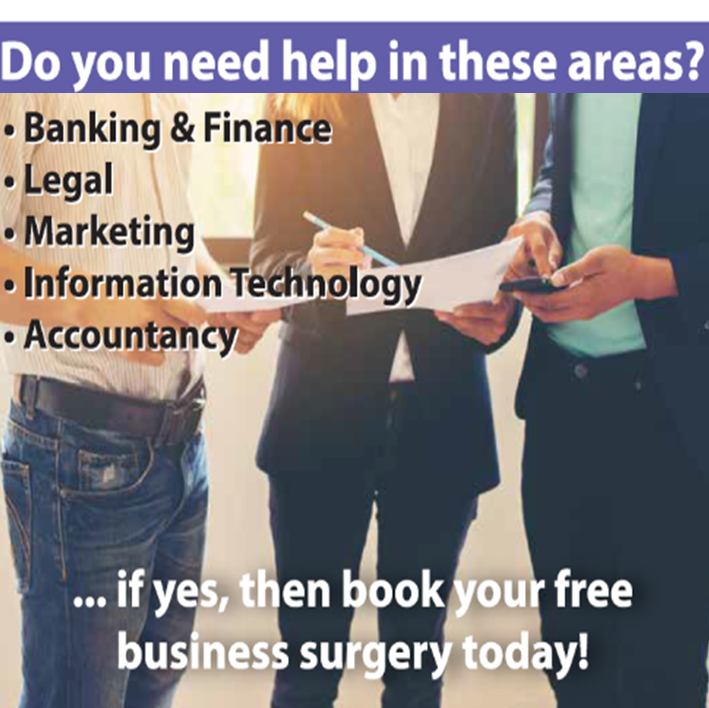 The five companies offering the free service are Arcom IT Solutions, Barlow Robbins Solicitors, Hamlyns Chartered Accountants, NatWest Bank and Something Big Creative Communications Agency. Bookings for the Woking Works Business Surgeries are on a first come first served basis, at Export House, Woking at 9.30am, 10.30am and 11.30am.